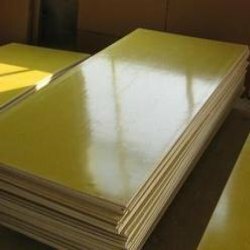 We are offering excellent quality FRP Sheet to our customers. Our experts test the products on various parameters and are in huge demand across the globe. The products that we offer are made as per the needs and requirements of our clients. These are manufactured using quality resin materials which is procured from our reputed vendors. The range offered by us is excellent in performance and high in durability. "In addition to this, we can customize these products as per the exact requirements of the clients. Established in the year 1992, we, “Jay Ambay Fibre Insulators”, is recognized as the prominent Manufacturers of Fiber Insulators. These products are designed and manufactured using high fibre reinforced plastics resins and highly reliable reinforcement materials sourced from some of the best vendors both nationally and internationally. Auto Parts, Clutch Plates, Core Plates and Pressure Die Casting are some of our premium offerings to our customers. Further, these products are manufactured using modern machinery and techniques and are sourced our expert team of engineers and technicians. These products are in high demand in the market due to their durability, excellent finishing, long service life, and reliability. The offered range of these products is available in different specifications as per the needs of the clients.